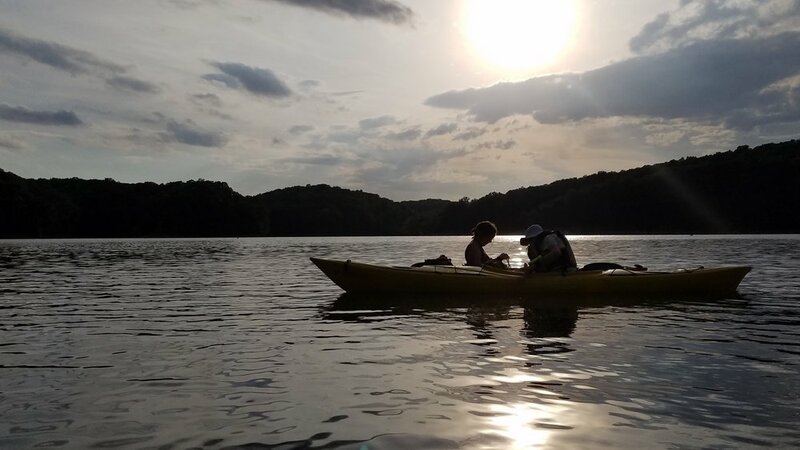 Friends of Lake Monroe envisions a regional community that appreciates, sustains, and enjoys the Lake, including its larger surrounding ecosystems, to ensure drinkable, swimmable, and fishable waters. To protect and enhance Lake Monroe and its watershed through science, advocacy, and public involvement: working collaboratively with citizens, government, and business to improve and support lake water quality. You’re all signed up. Thank you for your interest in Lake Monroe and its watershed! Making fish and learning about water clarity at the Farmers Market. Dave Cable, regional operations manager, Army Corps of Engineers, talks to watershed tour participants about Lake Monroe operations. Indiana Clean Lakes Program Director, Melissa Laney, presents Limnology workshop. One of many beautiful mornings on the lake. Mary Madore part of our monitoring team. Dave Cable, USACE, answers questions at the Lake Monroe Corps Open House. City of Nashville wastewater treatment plant was one stop on the watershed tour. 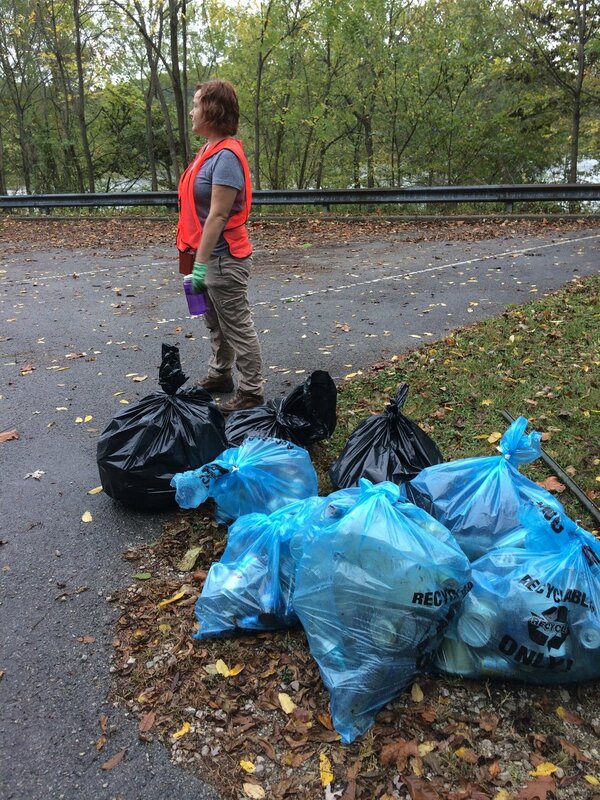 Picking up trash on the shoreline inspired Sherry Mitchell-Bruker to start a plastic measurement initiative. This is the trash a handful of people picked up in less than two hours. Friends of Lake Monroe has adopted a part of the Lake Monroe shoreline for regular cleanup. Vic Kelson, City of Bloomington Utilities Director, answers questions from FLM member Richard Harris during the water treatmetn plant tour. The lab at the water treatment plant. Treated water and raw water side by side! Kevin, Patty, and Mary talk with Bloomington treatment plant manager. Volunteer and trash from shoreline cleanup. Bloomington's waste water treatment plant. Watershed explorers. Photo by Kristie Lindberg (left front). Map of the 2017 watershed tour. Steering Committee members recieve the City of Bloomington's "Be More Sustainable Award" for extraordinary volunteer service. WFHB Podcast: Federal Authorities are considering logging thousands of acres of the Hoosier National Forest, including over 400 acres of clear cutting south of lake Monroe. WFHB Correspondent Annie Aguiar speaks with Indiana Forest Alliance Director Jeff Stant on the possible effects of logging and clear cutting the state’s only national forest —in today’s Feature Report. FLM is looking for 5-7 volunteers to help with its monthly Adopt-A-Shoreline cleanup on April 27 at 2:00 PM at the Paynetown State Recreation Area on State Road 446. Freshwater ecosystems are a vital component to life and require both protection and appreciation. 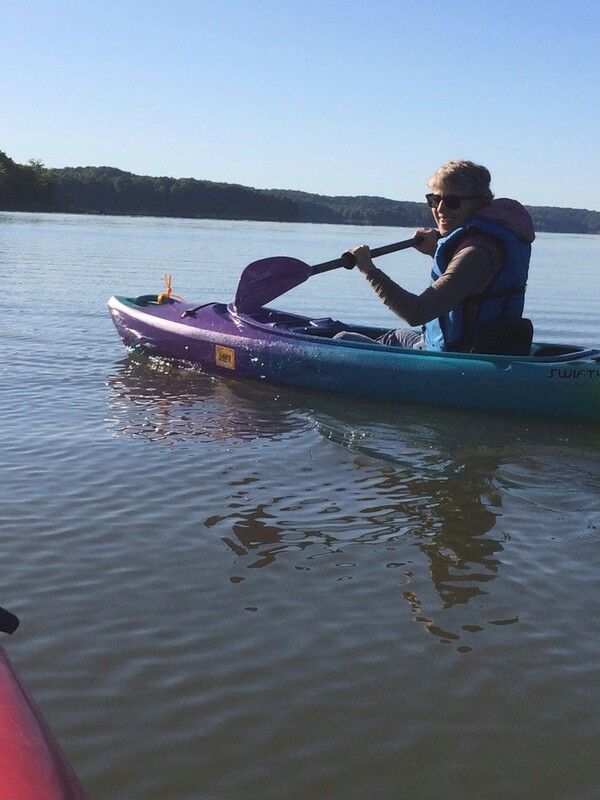 Friends of Lake Monroe (FLM) was created in 2016 by Sherry Mitchell-Bruker to support water quality and sustainable recreation in Southern Indiana's Lake Monroe. To improve the quality and value of an important local resource FLM is dedicated to promoting data, policy, and collaboration. We work with the lake community, government, and local businesses to protect and enhance Lake Monroe and its watershed. Lake Monroe was built in 1964 by the US Army Corp of Engineers. Management of the lake and its watershed is a complex combination of federal, state, and private interests. Pursuant to an agreement between the federal and state governments, much of the land immediately surrounding the lake as well as activities on the lake are managed by the Indiana Department of Natural Resources within its State Park Division. The United States Forest Service also owns land and manages a recreation area on Lake Monroe. Lake Monroe provides recreational boating, fishing, and swimming opportunities to tens of thousands people every year and these recreational activities bring significant revenues to local businesses. Lake Monroe drains a hilly and mostly forested watershed of 415 square miles which includes portions of Monroe, Jackson, Brown, Bartholomew, and Lawrence counties. Due to the multi-jurisdictional divisions within the watershed, the development of a comprehensive plan for the lake is a process, but Friends of Lake Monroe is actively seeking funding for the development of a watershed plan. Lake Monroe supplies drinking water to the City of Bloomington and portions of Monroe and Brown Counties in Indiana. Test results from Lake Monroe show that both algae and mercury concentrations violated the federal clean water standards. As a result, Lake Monroe has been added to the 303(d) list identifying violations of the Clean Water Act. In a 1997 study, Jones et al reported poor water transparency, serious shoreline erosion and excessive phosphorus loading to the lake. Excessive phosphorus loading is associated with eutrophication, a process in which high phosphorus levels cause an increase in plant production and sedimentation, eventually leading to a decrease in lake volume. If you live near Lake Monroe, get involved to protect the quality of your drinking water and recreational area. We accept volunteers regardless of skill level. There is a rotation in roles, but we’ll teach you all the skills you need to know. Indiana University can earn community service credits for school in addition to building experience. Donations are also vital to our growth, as we use them for data collection tools and outreach. If science is important to you, too, join us by the water or attend a monthly meeting. You can also read minutes from past meetings here.